Christmas is one of the most widely celebrated festivals globally and is no longer viewed as a purely religious holy day. It is now a time enjoyed by people of many countries and faiths, and there are numerous universally recognized icons which we associate with the yuletide. 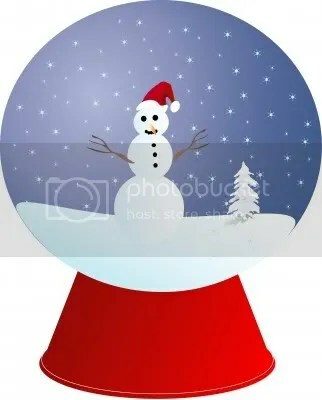 In fact, these symbols have become so commonly associated with the celebration of Christmas that when we see Santa riding on a reindeer, a mantle hung with stockings, coniferous green trees decorated with tinsel and ornaments, or houses festooned with evergreen wreaths and mistletoe, we know that the magic spirit of the season is upon us. 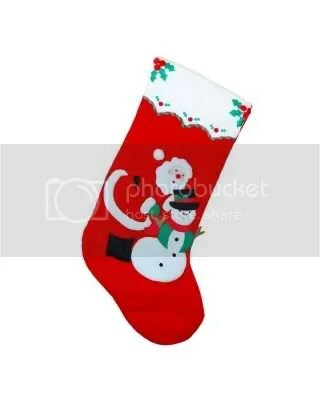 The tradition of the Christmas stocking dates back to approximately 250B.C. in Asia Minor. There Nicholas, rich man who became a very generous Christian priest and a saint, is said to have secretly filled the stockings of three poor sisters with gold, thus giving them a dowry and allowing them to marry. Legend has it that after that “miracle,” neighbors of the fortunate women followed suit with their stockings, and the tradition slowly spread across the globe. 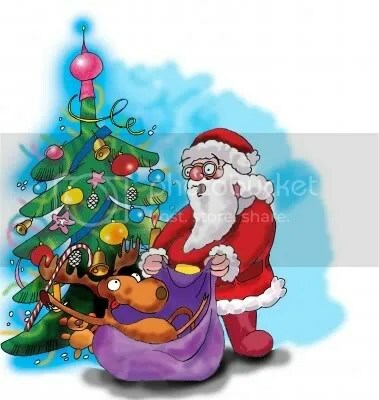 Children throughout the world now hang stockings–or even put out shoes–to be filled with small gifts and food by Santa (Saint) Claus (Nicholas). Many people create their own stockings, personalizing them for themselves or for others and often providing a family activity that is fun for all. Find instructions for making your own Christmas fireplace stockings. Along with the Christmas holly, laurel, rosemary, yews, boxwood bushes, and, of course the Christmas tree, mistletoe is an evergreen displayed during the Christmas season and symbolic of the eventual rebirth of vegetation that will occur in spring. But perhaps more than any other of the Christmas evergreens, it is a plant of which we are conscious only during the holidays. One day we’re kissing under the mistletoe, and next day we’ve forgotten all about it (the plant, that is, not the kisses). THE HOLIDAYS ARE HERE! THE HOLIDAYS ARE HERE! And ’tis the season to decide what presents to give, to buy the presents, to wrap the presents, to mail and/or deliver the presents. Whew!–time-consuming and somewhat exhausting unless you’ve discovered online shopping. 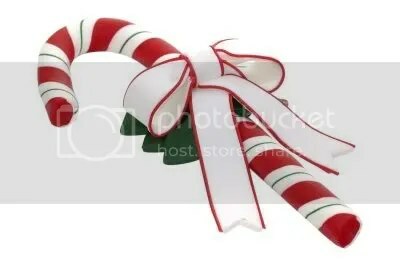 Here are just a few ideas: EasyXmas.com, Gifts.com, Overstock.com, Amazon.com, Fragrance.net. There are hundreds of other sites just waiting to display their wares and ship them for you. Some even offer free holiday shipping or will do the gift wrapping for you. Want something a little different? 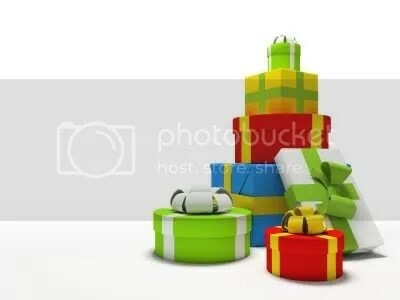 Check out the top ten present picks for 2009. Another time-saving tip: rather than hand writing cards to send holiday greetings online to friends and family and have someone else do the work for you. Great selections–warm, funny, cute, animated, talking, photo, traditional, romantic–and no waiting time! And speaking of greetings—show support for our troops. Xerox still has a web site that lets you send a message of thanks to soldiers currently serving in Iraq. This is a FREE service and only takes a minute to do. What a great way to spread the spirit of the season! Visit www.LetsSayThanks.com today. Yes, you’re busy, busy, busy, but what about the children? Need to keep the kids happy and involved? Here are creative and original holiday stories. Chat with Santa’s elves. Have fun with educational activities. 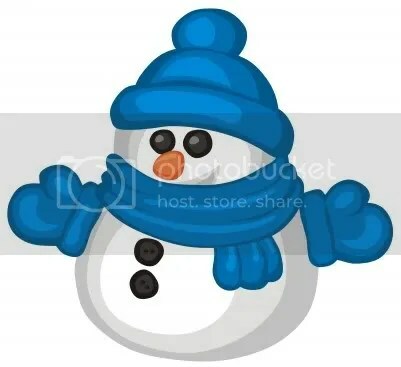 Make pom-pom snowmen, a snowman garland, or a Rudolph handprint. Deck your halls and walls with candy-colored crafts. Track Santa’s trip around the world. Count the days til Christmas. Other good sites for craft creations –ornaments, cards, trees, etc.–to make the days leading up to Christmas happy ones are Parents.com, Christmascrafts.net, SchoolFamilyFun.com, FamilyFun.com, FamilyCrafts.com, and Kaboose.com. Interested in how Christmas is celebrated around the world? Check out information on the traditions and customs of over forty locations. For instance, general Christmas traditions in Bethlehem are similar to the European and North American customs observed during the festival. From a few days before December 25th, the town is decorated with flags and other items of adornment. Streets are strung with Christmas lights. A Christmas market comes up and Christmas plays are performed. A cross is painted on the door of every Christian home, and Nativity scenes are displayed in every household. Learn how to express Christmas greetings in many languages. Try it and surprise everyone with you linguistic ability. 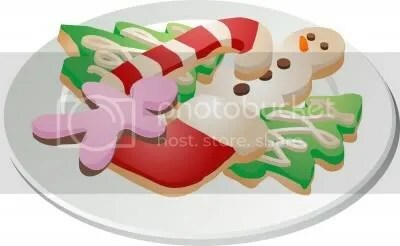 Now let’s move from goodwill to men to good food at Christmas time… eggnog, sugar cookies, Christmas punch, glazed ham, brunch biscuits and eggs–and so much more. You can even view vidoes to help with baking. Decorating cookies, making colorful Rice Krispy treats, and creating gingerbread cookies are all great family activities–and the results are delicious! Another traditional activity for family members of all ages is caroling–indoors or outside. Rusty on the lyrics…not a problem. Still hungering for more family time and/or seasonal spirit? It is said that the tradition of making Christmas movies is as old as making movies itself and Christmas has long been a favorite subject of moviemakers. In fact, so many movies have been made on the theme of Christmas that the list would be too long to print here, but you might want to try The Miracle on 34th Street (1947 version or the newer one), A Christmas Carol, A Christmas Story, It’s a Wonderful Life, and White Christmas. Christmas facts few people know: * In the Ukraine, if you find a spider web in the house on Christmas morning, it is a harbinger of good luck. * In ancient Scandinavia, mistletoe was associated with peace and friendship. That may account for the custom of “kissing beneath the mistletoe. * The “Urn of Fate” is part of the Christmas celebrations in many Italian households. TheUrn of Fate is brought out on Christmas Eve. It holds a wrapped present for everyone. * In Sweden a common Christmas decoration is the Julbukk, a small figurine of a goat. It is usually made of straw. Their climber was so skilled it made taking down the diseased tree look easy. We have had some real winners?!?! ?